The first day that Bend Endurance Academy opened its new 7000 square foot training facility for practice, the kids enrolled in the climbing program excitedly ran up to a strange new structure and began climbing and swinging on it. 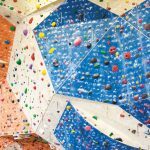 “It was basically like Christmas morning where a kid just opens up a toy and they want to play with it nonstop.” Mike Rougeux, Climbing Director at Bend Endurance Academy, said. This playful structure is known as Monkey Space, a product by Entre-Prises that has recently become available in the United States. 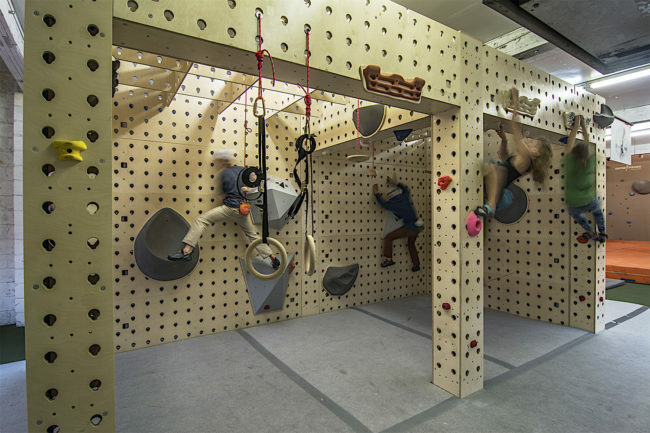 Monkey Space is essentially a 10 foot by 10 foot cube made of giant peg boards that allow trainers, coaches, and users to mount different accessories, ranging from climbing holds to pull up bars to swinging rings, without the need for a single tool. Multiple Monkey Space cubes can be arranged next to each other to form larger and more elaborate training arenas. Bend Endurance Academy has two cubes installed to create a course that is 10 feet wide, 20 feet long, and 10 feet high. 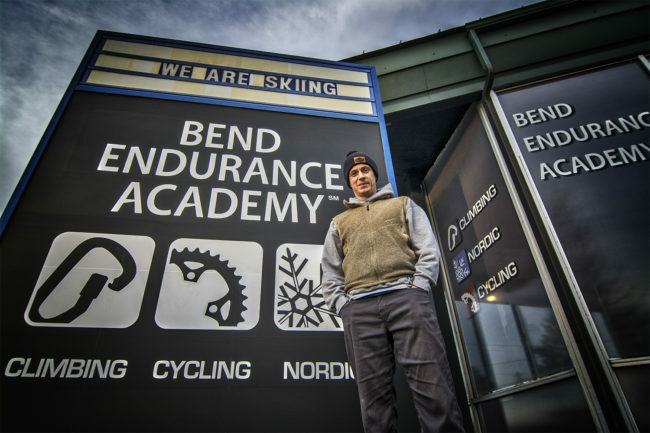 Bend Endurance Academy (BEA) is the first American partner to utilize Monkey Space. It is a non-profit training organization with the mission to “promote healthy living through active, outdoor experiences.” BEA emphasizes teamwork, personal growth, and community responsibility while coaching people of all ages in the disciplines of climbing, cycling, and nordic skiing. 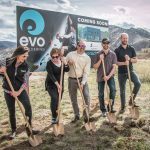 As the organization built its new training center, Rougeux saw Monkey Space on Instagram and realized that it would fit well within the new facility and with the program’s goals. “In essence it provides a multi-use tool for me in the training center without taking up much square footage,” Rougeux said. Since Enter-Prises is also based in Bend, the two organizations were able to arrange a partnership. 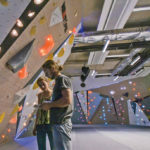 Up until recently, BEA has been partnering with other facilities, such as the Bend Rock Gym, to run its training programs. Now, though they still partner with the local gym for certain events, BEA has its own facility to target and train specific skill sets with more precision. The new facility houses a full strength and conditioning center with free weights and squat racks, an athlete lounge with beanbag chairs and changing rooms, offices for the program directors, and a 3000 square foot climbing center that includes a 48 foot by 12 foot bouldering wall, a tread wall, a systems wall, a campus board, and finally, Monkey Space. Bend Endurance Academy’s programs are unique in that some are competition focused and others simply aim to show people to the joys of being active and outdoors. Beginning with kids as young as three-years-old, there are ski and climbing programs that introduce kids to the fun of moving over snow or climbing up walls, and there are Strider bike programs for toddlers to get them started on two wheels. For teenagers attending high school, there are focused training sessions for those who have dedicated themselves to a specific sport and want to improve their skills and compete. Kids can train for climbing competitions, nordic ski races, and cyclocross, cross-country mountain bike, enduro mountain bike, and road bike races. Adult programs are also offered at competitive or introductory levels. The twin goals of encouraging appreciation for the outdoors and also training unique skills for competition comes with its own problems. 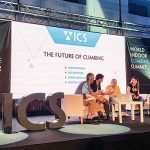 For climbing, coaches have to be very specific in the level of difficulty when setting routes because beginners need easier, more accessible routes while more advanced participants require difficult routes that will challenge them and encourage learning. Likewise, the disciplines of nordic skiing and cycling have very different training and conditioning needs. The new facility enables the coaches to develop sport-specific curriculums and ability-tailored programs. The addition of an adaptable tool such as Monkey Space, increases the usability of this facility which has become apparent in the brief time that BEA has put it to use. With its many gadgets, Monkey Space immediately appealed to the coaches and the trainees. “Even the parents of the kids that I coach, when they come in to pick their kids up, they want to play on it and want to hang on the swinging rings. Who wouldn’t want to? It’s an adult version of a jungle gym, really.” Rougeux said. However, the real benefit of Monkey Space is the flexibility of its modular design, which also makes it more practical. The locking system allows training courses to be set and changed quickly without needing impact drivers or any other tools, so the courses can be adapted for any type of target training. Rougeux explained that climbing volumes typically retail for over two hundred dollars. 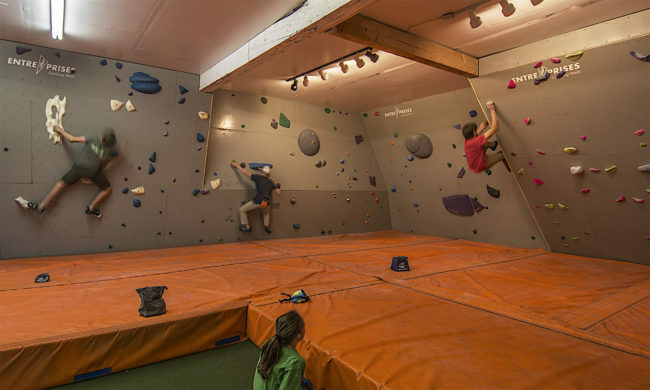 In a regular climbing gym, if a setter creates a route with eight volumes, it can be a route that costs several thousand dollars, and the volumes are then locked into that specific route until the setter decides to change it. This ties up the gym’s resources. With Monkey Space, holds and accessories can be moved easily if a route doesn’t work or a course can be changed mid-session. 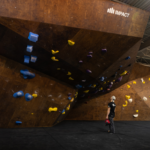 “If I have a three thousand dollar route up on the wall, I can then in five minutes change it and put up another three thousand dollar route on the wall after the kids do the first one,” he said. Similarly, six hangboards can be installed on Monkey Space for a specific finger workout, and then removed for the next session, freeing the facility from establishing a dedicated hangboard station. After the initial excitement over Monkey Space, Bend Endurance Academy has begun to use it in a more focused way for training. 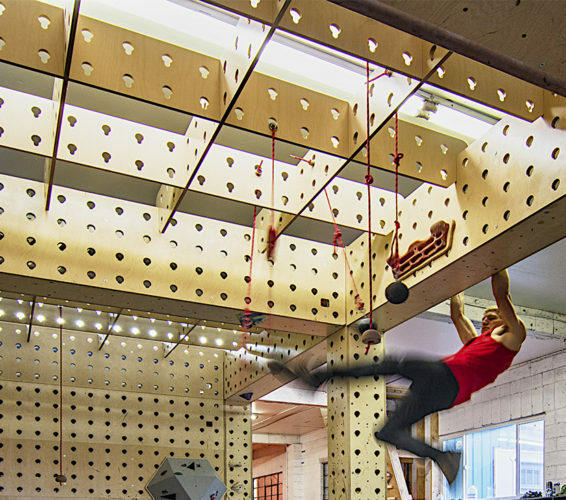 The suspension features have been used for targeted hanging core workouts and volumes have been installed close to the ground for elevated planks. Kids in the nordic ski program train balance and practice shifting weight from foot to foot by hopping across volumes. Older kids in the climbing program have developed a follow the leader game, where they set a circuit and have their teammates follow them through the course, which along with being fun, active play, also works on coordination and agility.